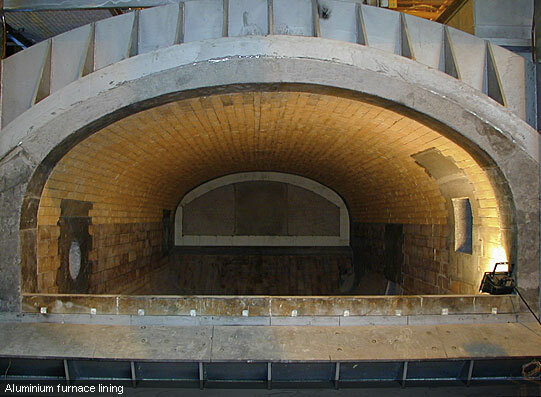 FERBECK & FUMITHERM analyses, designs and manufactures refractory brick linings for smelting and holding furnaces for aluminium and other non-ferrous metals (Zinc, Lead, Zamac). 15 to 60 MT capacity. - Shaped materials : bricks and shaped pieces made from bauxite with a high alumina content. 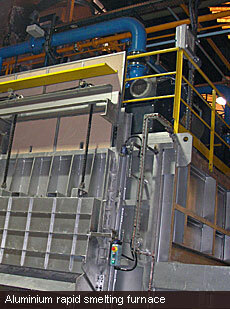 - Non shaped materials : refractory concrete cast, vibrated or pumped depending on the zone. - Maintenance services : Annual maintenance contracts, particularly for refineries. - Post inspection services and price estimates for one off operations.